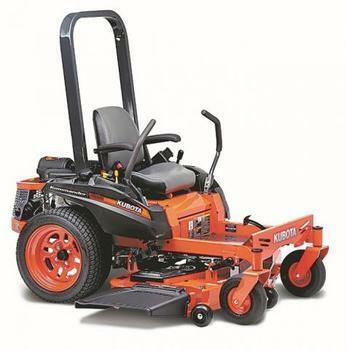 Kubota Manufacturing of America Corporation of Gainesville, Ga., is recalling about 3,850 Kubota zero turn mowers. This recall involves model years 2018 and 2019 Kubota ZD100 series gasoline-powered zero turn mowers. The model is printed on the side of the mowers. The data plate is located on the lower frame of the unit and contains the serial number and model number. Recalled units are orange and black. The mowers were sold at authorized Kubota dealers nationwide from July 2018, to January 2019, for between about $5,000 and $6,000. Consumers should immediately stop using the recalled mowers and contact an authorized Kubota dealer to schedule a free inspection and repair. Kubota is contacting all known purchasers directly. Consumers may contact Kubota Tractor Corp. at (800) 752-0290 between 8 a.m. and 5 p.m. (PT) Monday through Friday or online at www.kubotausa.com for more information.